A Tray of Bliss: Five Star Frou-Frou....Features from Week 35! Five Star Frou-Frou....Features from Week 35! What a busy, crazy few days here. I had three birthdays (two of which I was chief baker and cake decorator for! ), Valentines Day, Husband Dear was sick with an awful flu thing, Dearest Daughter kept me on the hop with her dance commitments, which Husband usually shares chauffeuring for, AND we had a power outage. So please forgive my tardiness with Five Star Frou-Frou Features. Without further ado, let's enjoy them together. 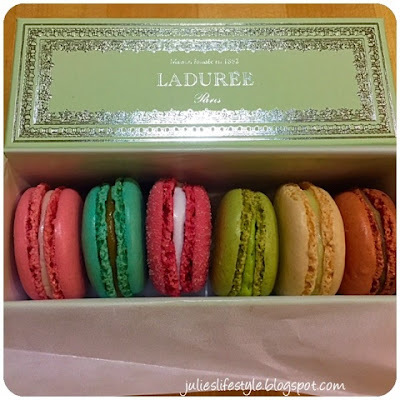 Julies Lifestyle whisked us all to Paris, with her gorgeous gift of Macarons from the sublime Laduree`. I can attest to their mouthwatering lusciousness, having been privileged to make a selection there personally once or twice. Pattie at Olla-Podrida shared a beautiful post on rituals, that really spoke to me. What about you? 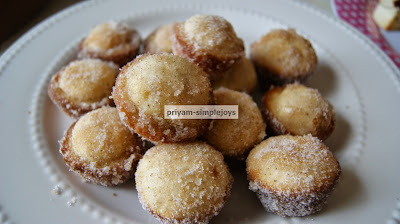 And Priyam at Simple Joys, shared her recipe for yummmmm Muffin Donuts. We eat gluten free here, and my daughter really misses donuts, so this is a great way for her to enjoy a replacement. Thankyou all for your beautiful, beautiful posts. I can already see that choosing features from this weeks links is going to be a task and a half! What fabulous features. Those macarons looks so scrumptious. Oh wow, what a nice surprise to see the macarons post featured. Thanks so much I really appreciate it. Yes those macarons are so yummy and just melt in your mouth!! I hope you have a wonderful week. Take care . Yummy and cozy are what I think of when I see these features, Mimi. Just the right prescription for this time of year! I never met a sequin I didn't like. I have a tshirt that says 'I was going to save the world, but I got distracted by something sparkly'. I aim to have as much glitter in my life, literally and figuratively, as possible. You too? Join me and we'll sparkle together for less. I promise. 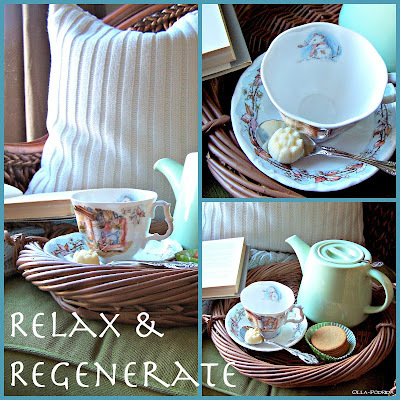 Do you crave peace and prettiness in your day? A big announcement! Gift making workshops! Homespun Things....Make your own Labna...little Middle Eastern Cheeses. All content on this blog is protected by copyright law. ©A Tray of Bliss All rights reserved, unless otherwise stated. Content of this site may not be reproduced in any manner without written permission. I have a dragon, and I'm not afraid to use him.